No matter what business you run in Brooklyn Park, you need to make sure that your commercial roofing is in good shape. No matter what business you run in Brooklyn Park, you need to make sure that your commercial roofing is in good shape. Do you have a cool roof that is energy-efficient? No, we don’t mean that it is only eye-catching in the widespread sense of the word. It also brings your business some other benefits, too. As higher temperatures roll in, you might start using more air conditioning than you might have needed all spring long. When you use cooler roofs for your commercial roofing, you know you can save your organization some money. They reflect plenty of sunlight, and since less heat is entering your office building or retail space, you won’t need to rely on the air conditioning unit and wear it out too soon. This way, you can save energy and all that extra money can be used in other ways. Another benefit of installing a cool roof on your Brooklyn Park small business is that you can help your employees feel more comfortable. The building will be cooler and not as stuffy, meaning you and your workers can breathe more easily and focus on serving clients and customers without being distracted by too much heat or too little heat. When too many buildings are built too close together, it causes internal and external temperatures to skyrocket. Have you seen the way the blacktop asphalt seems to sizzle whenever you spend time in Baltimore City or Washington, DC? If you own more than one building that are close together, you can install a cool roof to use as commercial roofing for all of your locations, whether it’s in Brooklyn Park or one of the surrounding communities. Saving electricity and going green isn’t just a tremendous boost for your company’s reputation. As temperatures climb this summer all over Brooklyn Park, everyone will have increased demand for electricity. Luckily, by upgrading your commercial roofing, you can find creative ways to reduce the strain on your commercial HVAC system, which means you will have spend less time and money on repairs and routine maintenance, staying longer than your competition. 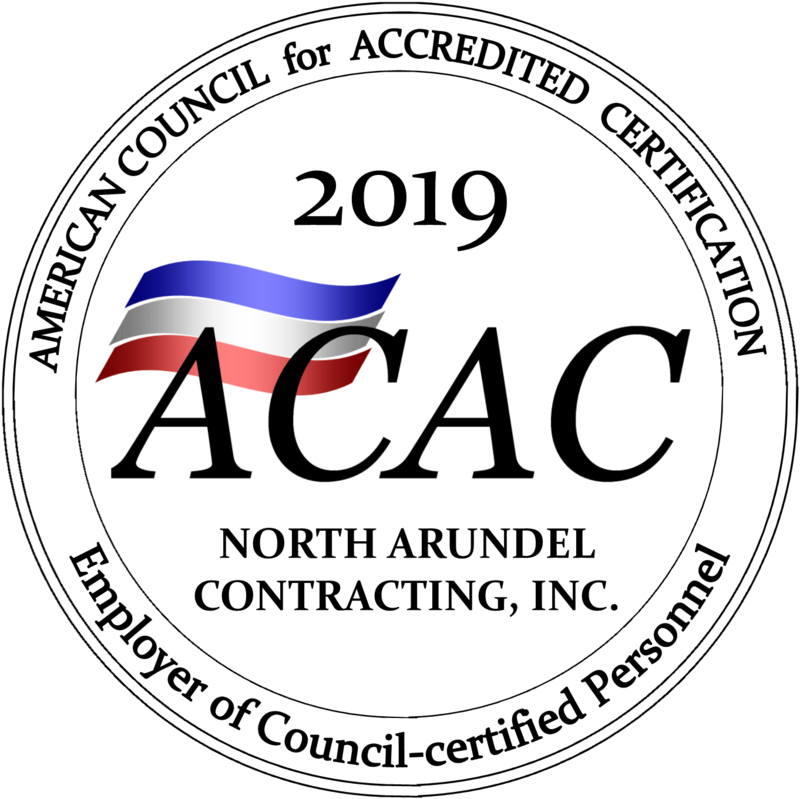 For help with repairing anything your home or business might need, you can count on the experts at North Arundel Contracting. Our Maryland business has maintained a history of exceptional service and quality since 1983. Reach us on our contact page. Reach us by telephone at 410-766-2855, or by fax at 410-553-2367. Our email is nac@nacontracting.com. For after-hours emergencies ONLY, reach us by pager at 410-541-0328. Be our friend on social media! Pin us on Pinterest. Here is our Facebook. Follow us on Twitter. Lastly, find us on LinkedIn. This entry was posted on Friday, May 25th, 2018 at 8:57 am. Both comments and pings are currently closed.